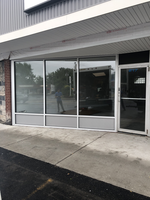 New store front installed with new metal and new glass. 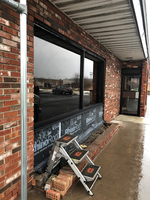 New store front going in for this restaurant. 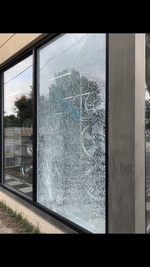 Tempered safety glass in store front, a rock hit it and it shattered.